A Sprinkle of Imagination is having a DT call and they are looking for all kinds of crafters. If you think it's for you, Vicki would love to hear from you! Find more details on their website here. As always we have some bits and bobs of bonus content online for you this month. Our cover project is some stunning tree decorations made from paperclay (by Gail Milburn), and you can get the template for her sweet bird design here. Our Cut & Create favour box template is perfect for the Christmas table. Find it here. Also check the homepage for the latest bonus content uploads. 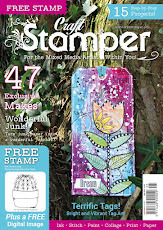 Now there are more opportunities than ever to see your work in Craft Stamper! I just want to be liked!! 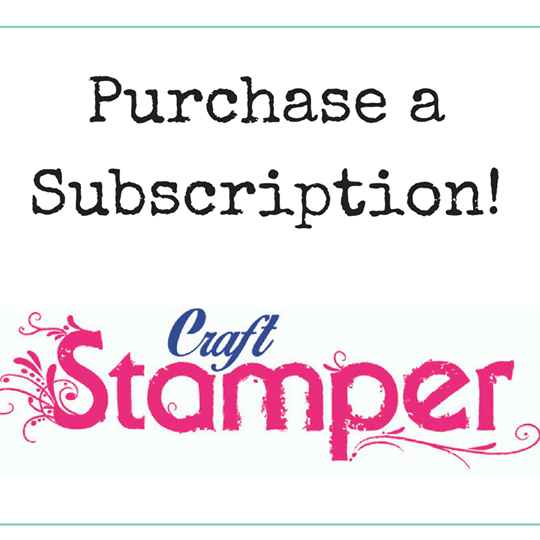 Did you know Craft Stamper has a Facebook page? Why not LIKE us on Facebook to follow the latest stamping news? Tell us what you think! It's the time of year when we do our annual review and look at what new features we might bring into CS in 2013. We already have one or two ideas up our sleeves, but we'd love to know what YOU'D most like to see! Which articles do you love and which just don't float your boat? Who are your favourite designers? What do you wish there was more of and less of? Is there something we don't cover that you'd love to see included? Write to me at cs@traplet.com with your thoughts. One person who sends me comments by 23rd November will win some fabby spray inks!